Improve your Dramatica® Story Expert™ skills with these free video tutorials. View the table of contents on the left. You can start with the first lesson, Beginning Your Project > Getting Started Window, and work through the lessons in order, or jump to the section that interests you most. There are several tutorials in each section. Note that these are only the first lessons in what will be a comprehensive set. Want to buy Dramatica® Story Expert™? 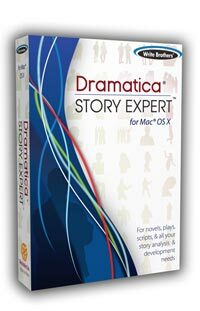 You can buy Dramatica® Story Expert™ from Amazon.com and other retailers or buy it directly from the makers at www.screenplay.com.